These three-in-one dies cut shapes, emboss details into your die cut shapes and stencil through the die for added effects. Works with all leading embossing and die-cutting machines (sold separately). 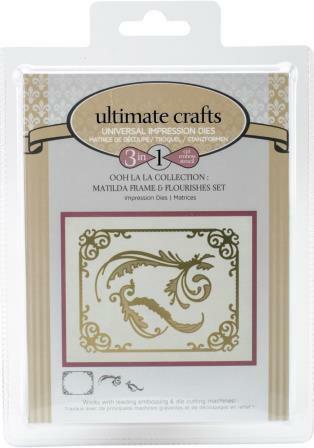 This package contains Matilda Frames And Flourish: three dies measuring between 7cm x 3.8cm and 11.4cm x 8.9cm.